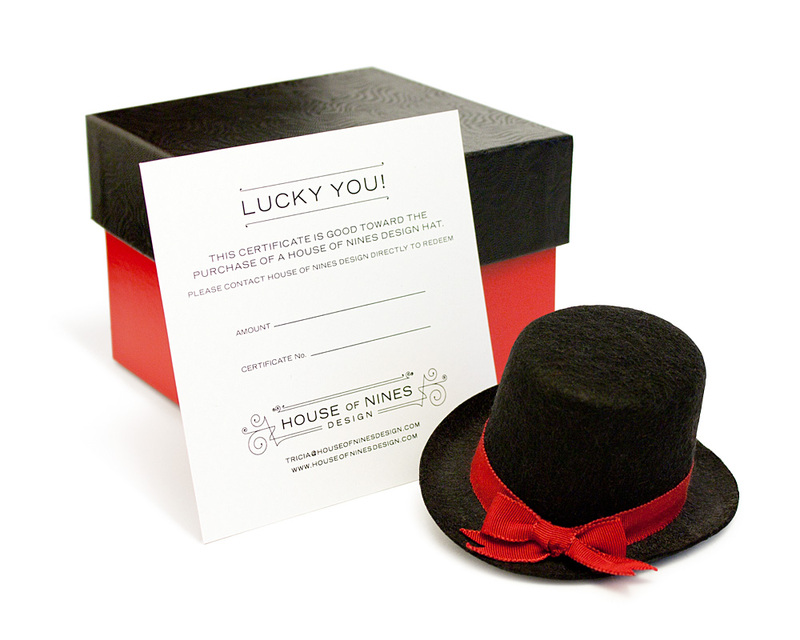 Want to give the gift of House of Nines, but unsure what to get? Don't know your giftee's hat size, or just want to surprise them? No problem. I offer gift certificates good toward the purchase of any House of Nines Design product or custom order. The paper gift certificate is printed with the amount of your gift, and redemption instructions. There are several Etsy listings for gift certificates in various amounts; if you want a different amount, just let me know and I'll create a special listing for you. It comes wrapped inside a miniature box (4x4x4") that looks just like my full size hat / gift boxes, with a hand-decorated mini felt hat to keep, so it's more 'gifty' than just giving a slip of paper. 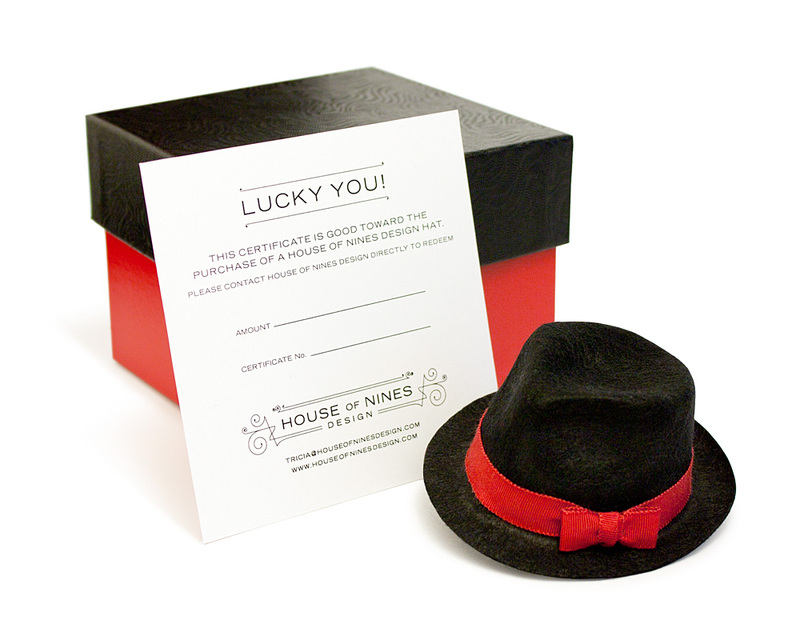 Please let me know your choice of a mini top hat or mini fedora when you place the order.